Rachel Gwaltney is the Director of Policy and Partnerships at the National Summer Learning Association (NSLA), a national nonprofit organization focused on closing the achievement gap through high-quality summer learning for all children and youth. In this role, she leads development and implementation of services, projects, and partnerships that strengthen summer learning policy and build capacity of state and national leaders and organizations. Prior to joining NSLA, Gwaltney served as Chief of Programs for Higher Achievement, an organization that focuses on closing the opportunity gap for middle school youth. 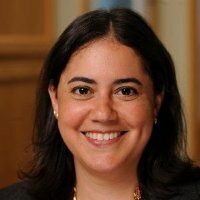 She has recently held roles at District of Columbia Public Schools, Data Quality Campaign, and Horizons National. NSLA encompasses a broad definition of summer learning activities; it can be anything from summer school and library programs to community-based organizations and parks and recreation programs. Our focus has been on improving quality, access, and demand for these programs through advocacy activities at the federal, state, and local levels. We also advance our mission through grassroots efforts, training, and technical assistance with program providers, which elevates the quality of summer learning efforts in the field. My work centers on advocacy at the state and federal levels: helping policymakers understand the effect of summer learning on student achievement and success. For example, NSLA has developed and shared lots of research on the impact of summer learning programs on low-income students and communities, and how the achievement gap grows when youth don’t have equitable access to these types of programs. Growing summer learning programs can be difficult because there is only one dedicated federal funding stream for afterschool learning, and it’s shared among multiple types of education providers (the 21st Century Community Learning Centers program). We believe it’s really important to keep investing in that funding stream at the federal level because it is a critical investment in equitable opportunities that schools and communities provide to their students. Even better, community-based entities often leverage that funding into additional private dollars and in-kind resources, all of which are invested into student success. We want policymakers to know that there is a huge demand for summer learning programs and we need more funding to continue working to meet that demand. Partnerships are also an important part of making summer learning a priority. We’ve been working closely with the Campaign for Grade-Level Reading to advance summer learning as a strategy to help kids stay on track with literacy and to reduce retention of students in third grade. We are seeing more programs incorporate STEM (science, technology, engineering, and math) into their activities too, so finding partnerships to enhance quality and bring new resources to the field are important. The programs and partnerships we represent go beyond just academics. NSLA’s mission is to “ensure that every child is safe, healthy, and engaged in learning during the summer,” so we also support programs in parks and recreation, physical activity and sports, camping, and environmental science and nature learning. There’s great research out there on the positive health outcomes for youth involved in summer activities with structured physical activity and nutrition components, and the negative consequences for children who lack these resources. Nutrition and summer food service is a big part of NSLA’s work as well. With the reauthorization of the Summer Food Service Program, we hope to ensure that kids have access not only to healthy and consistent meals, but also to learning opportunities during the summer. Many students in low-income communities are eligible for free and reduced-price meals during the school year, but only one-sixth of those same kids receive meals during the summer. We’re working with providers and districts to find additional providers to serve meals when school isn’t in session. It’s also a great opportunity to connect more kids to summer learning programs; kids who are getting summer meals may not be in summer school, but they can still access enrichment opportunities in libraries or through other community organizations. One of our greatest opportunities is that the summer learning network is becoming savvier about quality. We’re able to highlight many different programs and how they accomplish summer learning and non-academic goals through their quality of service. Higher quality programs allow us to really show positive outcomes, both academic and nonacademic. We have a growing body of evidence that demonstrates the impact of summer learning on closing the opportunity and achievement gaps. A major challenge to our collective work is the difficult funding environment. Many summer learning programs struggle with sustainability as we see an increased demand for programs but not increased funding. We need to make sure that resources go to the communities and kids who need them most. Another challenge is reaching kids in rural areas. Even in low-income urban areas, it’s easier to get kids to a central location for programs. This is much harder to do in rural areas, where kids, families, schools, and communities are much more spread out. To meet this need, we’re working with rural leaders and organizations to build an understanding of why summer learning programs are important and determine how to use resources like technology to make programs available to more kids. My role at NSLA focuses on connecting our organization to other sectors that are also focused on youth. Part of that effort is finding state and national organizations to partner with in order to advance our work. We try to work broadly and collaboratively with these different sectors, and we work with many different organizations, from the USDA and child hunger groups on the summer meals component, to the afterschool community and national parks and rec associations on physical activity programs. In addition, we look outside education to broaden the summer learning scope, such as working with health and human services programs, and the business sector on summer youth employment. I’ve always tried to remember that students are at the center of what we do, and everything we do should have an impact on youth. It can be easy to get caught up with the needs of adults or communities or budgets, but kids are still graduating who are not ready for college or the workforce, so we need to take that seriously as leaders. I’ve also learned that it is important to make the time and space for meaningful collaboration. So many opportunities for collaboration get left on the table because it is hard to do. It takes extra time and effort and we don’t always feel we’re getting the most out of it at the time, but more often than not, it pays off in huge dividends down the road. EPFP was a great turning point in my career. I came into the program after more than 10 years of working on the program side, but I had always been interested in advocacy. I thought EPFP would be a good opportunity to see if I wanted to shift my focus to policy. I really enjoyed our conversations about a variety of issues within the education sector, and the chance to think more broadly about the work I was doing, the students I was serving, and the impact I was making on the education landscape. Hearing the perspectives of the many types of professionals in my cohort—lobbyists, principals, leaders from national organizations—was especially meaningful to me. My time as a Fellow was a great experience that inspired me to get a graduate degree in public policy and join the larger conversation on public education. I think EPFP is valuable in helping people build a strong network. I’ve kept in touch with many of the people I met through EPFP and have worked with a few of them since our cohort year. The program also gives Fellows a window into what policy looks like on the ground and how it aligns with the work they are doing. Understanding the scope and breadth of education policy and what it really looks like has been useful in my career and EPFP gave me a great background in that.